Founded in 1945, the TVA is Toronto’s go-to resource for all things veg. From our Vegetarian Directory to Veg Food Fest, the TVA has been promoting the benefits of plant-based living for over 70 years! How Can You Support the TVA? Become A Member: Join our growing community of 1,700 members! Becoming a member of the TVA gives you access to exclusive member discounts, our quarterly newsletter, and the one and only Toronto Veg Card. Donate to the TVA: Your contribution helps us continue to drive our mission of inspiring people to choose a healthier, greener, and more compassionate lifestyle through plant-based eating. Volunteer with the TVA: Including Veg Food Fest, the TVA hosts exciting programming year-round dedicated to supporting Toronto’s plant-based community. 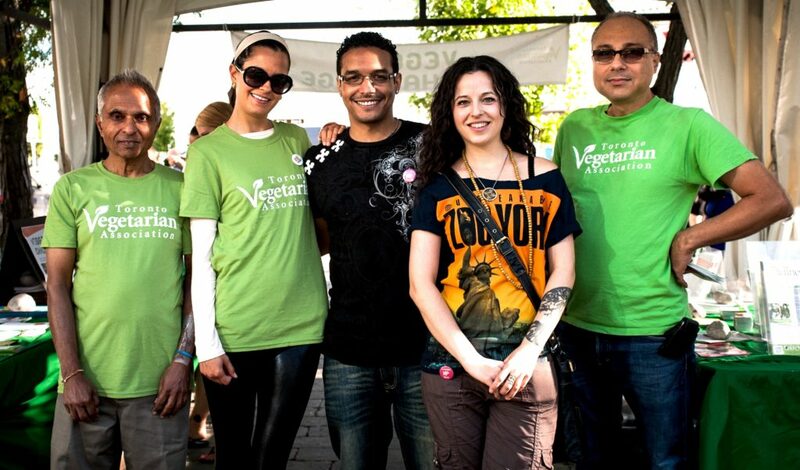 Like Veg Food Fest, volunteers are an integral part to their success. Visit Our Resource Centre: Come by and say hello at our Resource Centre! Here you will find information on plant-based living, and purchase books from our bookstore.